Registering new people to vote is terrific, as far as it goes. But it doesn't mean more people are going to actually cast votes. Here’s a pro tip: To the people on the ballot, you’re not here unless you vote. The state’s top election officer — Secretary of State Carlos Cascos — has been pushing voter registration and, with some fits and starts, the best path through the state’s voter identification obstacle course. Voter registration, however healthy it might be, isn’t a good indicator of voter turnout. It has varied widely in presidential elections over the last 40 years in Texas, and as you might expect, voter turnout — as a percentage of registered voters — has varied widely, too. 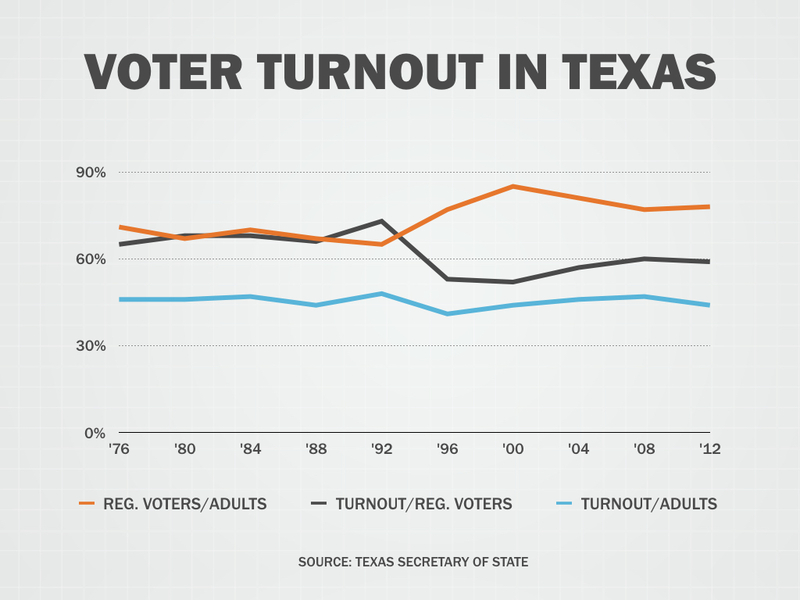 In Texas, the biggest turnout years had attractive battles on the ballot. In 1992, Arkansas Democrat Bill Clinton was challenging Texan George H.W. Bush with Texan Ross Perot running a disruptive third-party race. That’s a lot of points of interest for Texas voters. In 1984, Republican President Ronald Reagan — with Bush as his veep — was running the “morning in America” re-election campaign, firmly cementing a conservative stamp that has remained strong in Texas ever since. On the other hand, the percentage of adults registered to vote rose to 77 percent in 1996 — almost 12 percentage points higher than in 1992. But turnout that year hit a low point, even with the increased registrations. 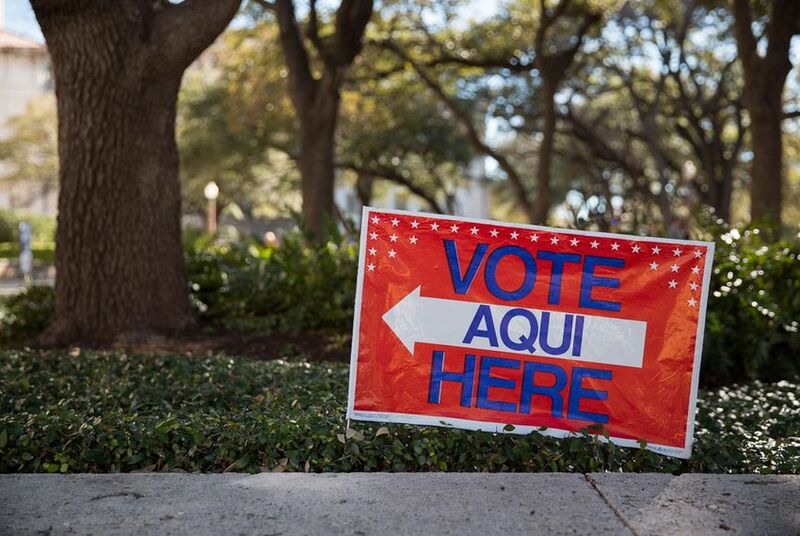 Only 41 percent of adult Texans voted; only 53.2 percent of the registered voters cast ballots. Registration was way up, but turnout was down. Registration rates fell in 2004, but voter turnout was up — another case where the two numbers had little to do with each other. That newly registered voter at the top of this column had that part right. She has a right to vote. She is now registered to exercise that right. But that doesn’t make her a voter, and nonvoters don’t matter on Election Day. The end of one political race is often the beginning of the next one. As former Gov. Rick Perry learned, an "oops" moment in one contest can color voter opinion in the next one. That ought to worry U.S. Sen. Ted Cruz. The Texas Legislature has become the court of last resort for companies and industries fighting local regulations in the state's cities and counties. And for those interests, Austin can be a very favorable venue for appeals. Voters in the state's largest school district can say no to sending money to other school districts, putting Texas lawmakers in a bind and — maybe — raising their own school taxes in the process.